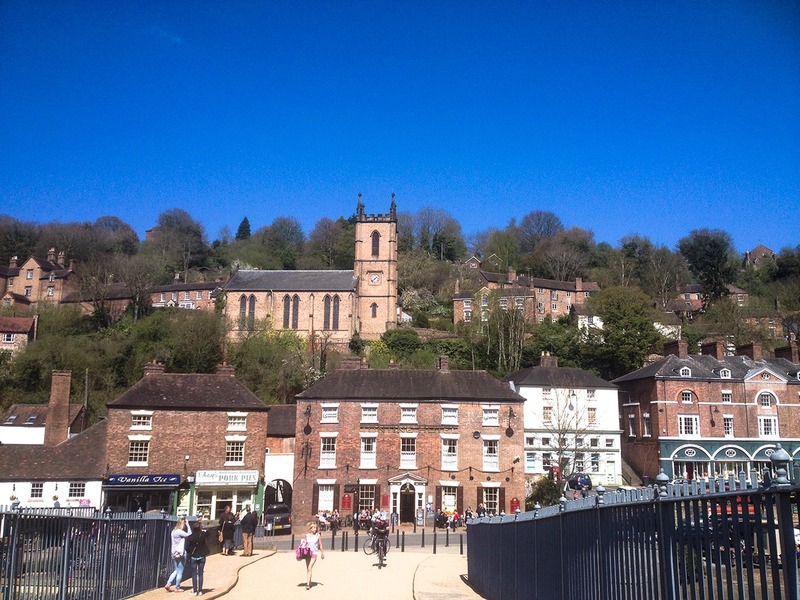 For those of you that don’t know, Ironbridge is a small settlement on the banks of the River Severn, and it sits in the heart of the Ironbridge Gorge, which is a part of Shropshire initially utilised for mining various materials, including coal and iron ore for the production of iron. Ironbridge itself has plenty to do for such a small place, there are a plethora of museums in the local area, as well as the famous bridge itself and the old town for you to walk around and explore, making it a great place to go for a long day out.Being the genius I am, I actually forgot to bring my SD cards for my camera, so for this post sadly you’re going to be bombarded with poorly taken phone camera shots. My apologies for that.The drive to Ironbridge is a lot of fun. There’s a park and ride if you don’t want to navigate through the narrow streets and steep hills, but my “navigation system” aka Google maps, decided to lead me right through the heart of the town and it was a lot of fun to drive around it. I’d recommend giving it a go, just be mindful of the narrow roads and lack of road markings around the place.There’re are couple of large car parks nearby so you don’t have to walk too far. 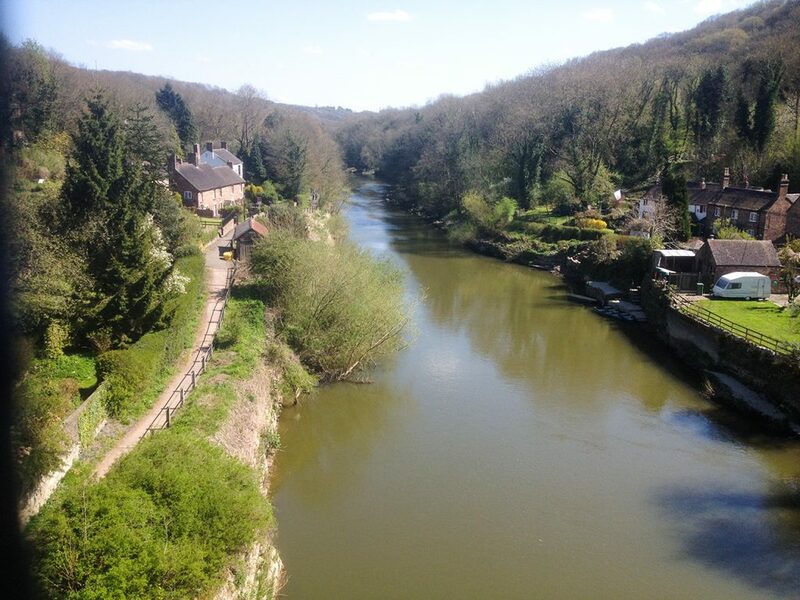 Less than 100 metres from either one and you’re practically stood right int he middle of the famous iron bridge. We did a bit of walking around the place. You can see the old-school style shops directly ahead (including an ice cream shop. Who doesn’t love ice cream shops?) and the road leads either side of the bridge along the river-front for you to explore.Before you get to the museums (of which there are loads, as I mentioned, and if you don’t know much about the history of the area I highly recommend taking a look) there are a few steps and a nice green patch of grass to rest your behind on and just take a moment to soak in the surroundings. Besides, there are also ducks. Everyone loves ducks. The water at this point is unusually clear, which is a good thing because if you go in the summer (when it’s not sunny but freezing) you can probably get away with going for a dip.Where I’m sitting to take this picture, there is a walking track right behind me. There are plenty of walks to try out in the area, and you’ll see no end of hikers with their sticks taking a trip along the river. With views like these I can’t really say I blame them. 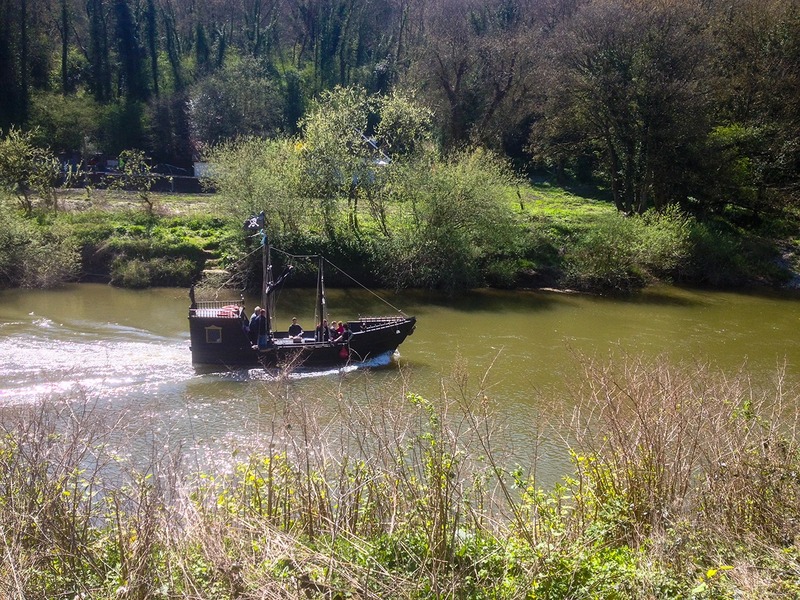 Even better, and something that I really didn’t expect to see, is a pirate ship sailing down the river. The lovely pirates that look a little bit out of character did wave (which I don’t think is very piratey, but who am I to judge? ), and their ship was aptly named the Black Pearl. I did look out for Johnny Depp but if he was aboard, he was below deck or busy sitting in his cabin sipping rum. I won’t bore you too much with the details of walking up and down the river. You’ll be able to do that yourself between museums, and hopefully while you’re soaking up the rays of sunshine. We did grab ourselves an ice cream, mint and chocolate chip, as you do, and took a breather perched upon a wall. In a relatively quiet and beautiful place like this it’s nice to sit back and relax for a bit.Lastly I’ll bestow upon you this picture I took looking down-river (I think) from on the bridge. 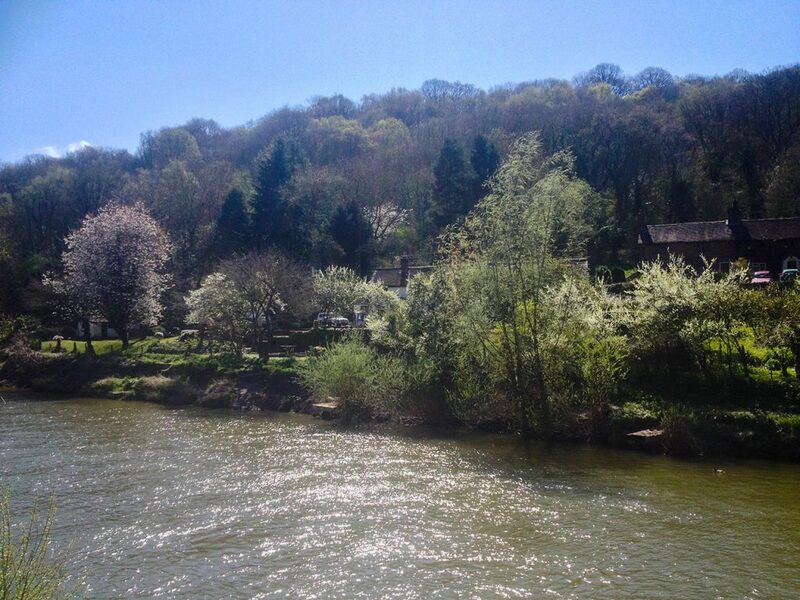 As I mentioned before, there are plenty of things to do and things to see in and around Ironbridge. I’ve not even scratched the surface of the stuff just in the town, and that’s before you consider the other nearby places such as Coalbrookdale and the old market town of Madeley. 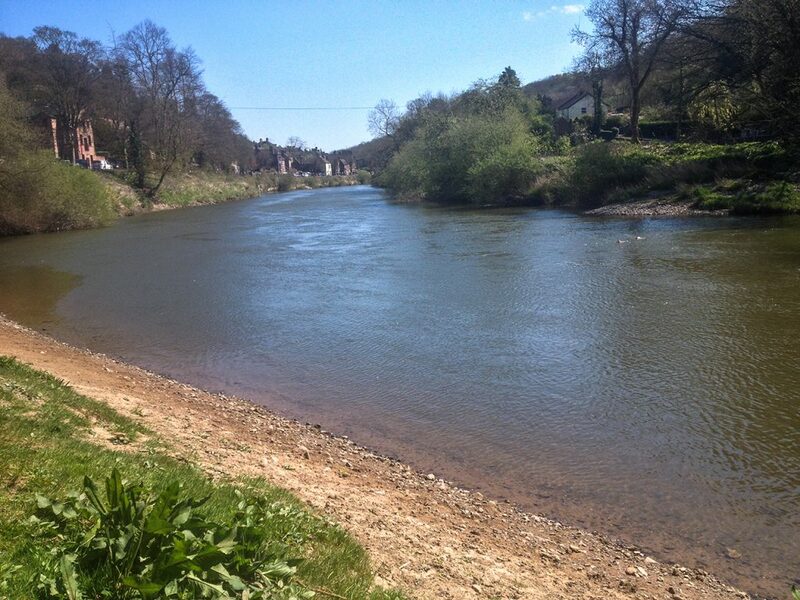 They’re just a short trip along the road and easily accessible.If you’ve not been to Ironbridge, you should check out this iconic piece of British heritage. If you have, you’ll know how intimate a place this is, and you should totally share your stories of your visit. What did you think about the home of smelting? Don’t feel alone, I’ve forgotten my SD card before. Total bummer. The pictures look good to me! It looks like a great place to visit.